Search for New York Halloween events that will amuse and spook you to death this holiday season. Find Halloween events in NY that both locals and out-of-state visitors flock to every year. Hayrides, Haunted Houses, and more! Located in the Hudson Valley, Headless Horseman Hayrides & Haunted Houses is your premier destination for Halloween fun at its best! On site you'll find over 45 acres of naturally landscaped property that includes foreboding woods, surreal ponds, and fruit orchards. Enjoy a theatrical experience that you won't soon forget! 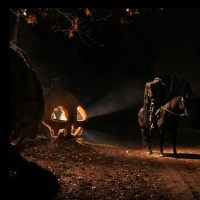 Headless Horseman includes a 1-mile hayride, a labyrinth-style corn maze, six delicately crafted haunted houses, and four food concessions. That's not to mention the four awesome gift shops. The popular NY Halloween attraction was even featured on NBC's The Today Show and on The Weather Channel! If you're planning a special event, the party/catering facilities accommodate all types of events from birthdays to corporate parties to divorces. Blackout Haunted House, New York's Scariest Place To Be! If you want to try something fun and scary then there is a perfect place for you here in New York. Blackout Haunted House, a place where all your fears can be found. A perfect Halloween activity where you can have a fun and scary experience with your friends. Blackout Haunted House is not a place for the faint hearted and definitely not a place for below 18. So come to this New York attraction and experience for yourself what scary really is, come to Blackout Haunted House and have yourself a scare. Prepare to be scared At Times Scare NYC! 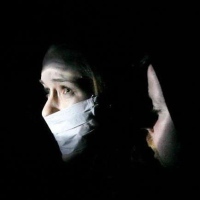 One of New York's haunted buildings, notorious for its murderous past, Times Scare NYC is the place to be where you will enjoy haunted house tours and at the same time be horrified of the things you will encounter inside. It is one of New York's attractions where you will definitely get the scare of your life. Also you can enjoy their crypt cafe, where they serve food and cocktails for you to enjoy. So come to Times Scare NYC a place for thrill seekers and ghost hunters, also a perfect place to be in New York during Halloween. Family Day At Critz Farms! Critz Farms is a place that hosts its annual Fall Harvest celebration, where you can pick your own pumpkin. A perfect venue for a family outing and bonding time. 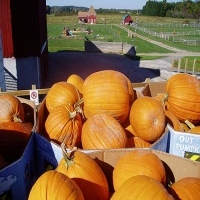 Critz Farms offers many activities in its venue fun for kids and adults alike. The farm is open every day where its operating hours are 10 Am to 5 Pm on Monday to Friday and 10 Am to 6 Pm on Saturdays and Sundays. So come to Critz Farms, where it is a top venue for a Halloween attraction here in New York, great for family outings and adventure. Here at Blood Manor, you will be horrified of what you will see and experience, with its surreal theme and its uncomfortable ambiance, you will definitely experience chills on your spine. Blood Manor opens during the Halloween season in October, so expect full intense action, where horror awaits you. So come to New York's premier haunted house only at Blood Manor and experience what it means to haunted. For more information please visit the website for more details. Prepare To Be Spooked at Double M's Haunted Hayride! 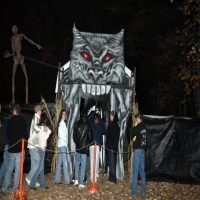 A place for fun and entertainment during the Halloween season, Double M's Haunted Hayride offers its ghostly themed amusement park perfect for kids to enjoy and have a great time. There are a lot of things to do in the area, like the hayrides or visiting some horror houses. Every attraction at Double M's Haunted Hayride is designed to be spooky and fun. So come along and enjoy your day at Double M's Haunted Hayride in New York and make the most out of it. Make your reservation by calling Double M's Haunted Hayride at their hotline. Be Brave And Visit Pure Terror Scream Park! Open during the Halloween season, Pure Terror Scream Park is renowned for being one of the scariest theme parks here in New York. A fun place to be for thrill seekers to come and enjoy the horrors that await them inside the theme park. The park opens on September 28 and remains open until October 28, perfect for the season of scare. So come to Pure Terror Scream Park and be prepared for the horrors that will come to you. Visit the website today for reservations and inquiries. Be Very Afraid At Bronx Haunted Warehouse! A haunted Warehouse where you get chased by scary zombies and ghouls, where everything is a load of fun and excitement. Bronx Haunted Warehouse is a great place to be, perfect for the Halloween season and a great attraction here in the Bronx, New York. There is plenty of scare to go around for everyone to enjoy. 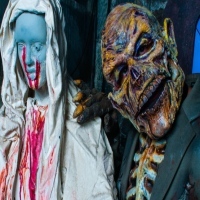 Bronx Haunted Warehouse offers spectacular zombie chases and spooky surprises making it a fun place to be here in New York. 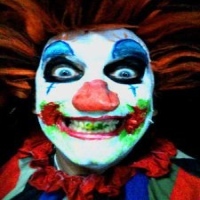 So visit Bronx Haunted Warehouse today and have yourself a wonderful scare. A Spooktecular Place In New York! Come to District of the Dead and experience for yourself the horrors that await you inside its haunted house. 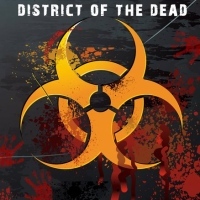 Designed to bring out the scare in you, District of the Dead has for many years lived up to its reputation in entertaining and providing the best horror scenes to its visitors. Visit District of the Dead today where it is a perfect place for the scary season of Halloween. For more information please visit the website or contact them at their hotline. Prepare Yourself For Extreme Horror! A scary place to be on Halloween, Nights of Horror is a place where evil clowns and ghosts come out and play. Ride the scary rides and expect to never return. With all the fun and adrenaline loaded into every ride and all the venues in the park, you will definitely enjoy your stay at the Nights of Horror. So expect all the horrors and thrills when you come to Nights of Horror. 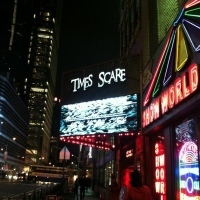 It is New York's premier theme park where scare is part of the show. For more information and schedules of operation please visit the website or contact Nights of Horror through their email. A Fun And Scary Place At The Gravesend Inn! 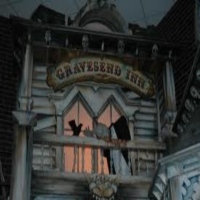 The Gravesend Inn, where you will definitely have a great time and enjoy the thrills of every surprise waiting to spook you out. It is a fun place to be during the Halloween season, where The Gravesend Inn hosts several horrifying exhibits and exciting entertainment. The horror house in itself is an annual show that opens the last week of October and lasts until The Halloween season ends. So visit New York's fun and scary place here at The Gravesend Inn, where every attraction and scene is made to be extra scary.